Google revealed Android N at their Google II developer conference earlier this year and now the company has confirmed that the OS will launch as Android Nougat. There had been a lot of speculation on what Google would call their new OS, although Nougat was one of the top rumors for the name. Google previously asked Android users to suggest what name the OS would come with, there were lots to choose from including Napolean, Nut Brittle, Nachos, Nori, Noodles and Neapolitan Ice Cream, as well as Nougat. 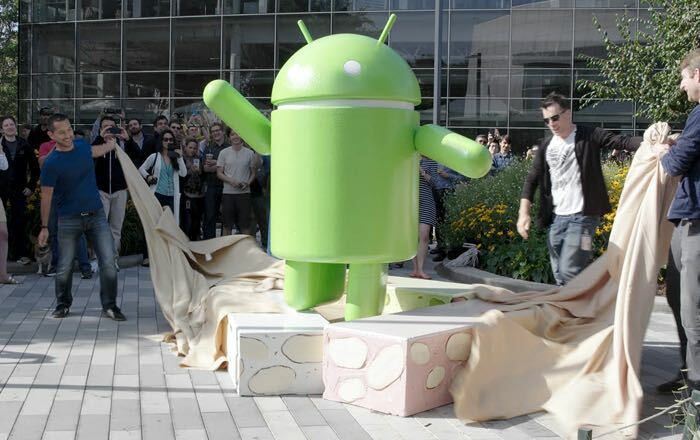 Google has now placed an Android Nougat statue at their offices, you can see a video of it being unveiled below.